For sale at 21 locations in Tamborine Mountain and Canungra and at the Bookshop of the State Library in Brisbane. Check out the latest nature photos here. More about walks and talks here. The biodiversity of Tamborine Mountain is not only defined by its extraordinary quality, but also by its accessibility. Rainforests, eucalypt woodlands, grasslands and water features form the stage for a unique display of flora and fauna. ‘Green Island in the Sky’ shows this beauty in more than 180 unique photos and illuminating vivid descriptions. This unique, hard cover album can be used as a guide book in preparation for a visit to the mountain, as a souvenir afterwards, or as a coffee table book: a present for yourself or for dear ones. (for Sneak Peek click here). 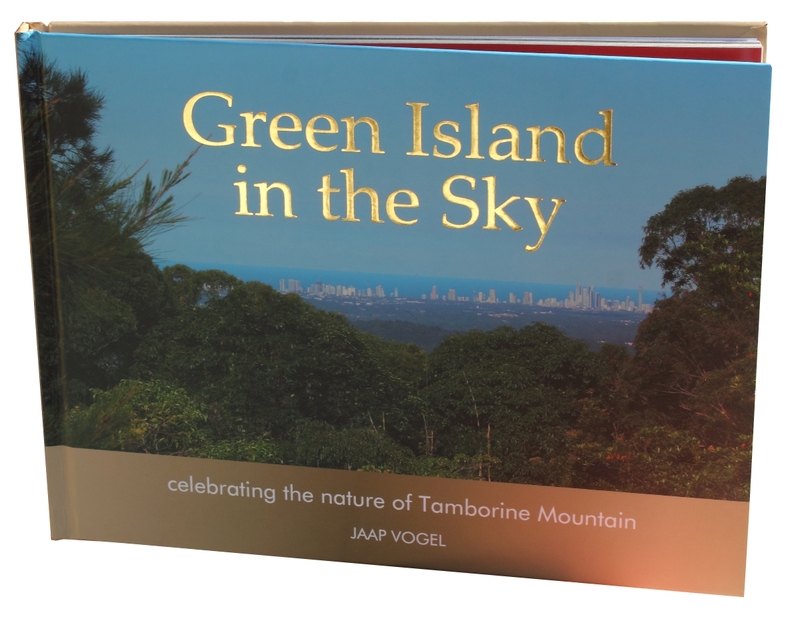 In ‘Green Island in the Sky’ a discriminating selection of pictures from Jaap Vogel’s photographic archive is presented, celebrating the beauty of Tamborine Mountain’s fauna and flora. 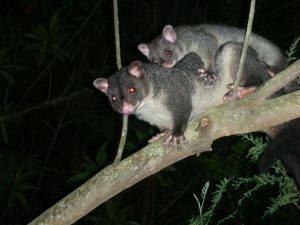 Sleeping koalas and parenting possums, breeding pythons and mating stick insects make their appearances, as do some animal and plant species unique to the mountain. The reader is taken on a journey from the damp forest floor to the lush canopy, and from the bright hot midday sun to the unexpectedly exuberant life of the forest and its residents at night. 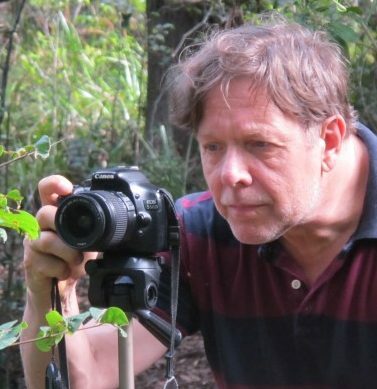 All photos are taken in the natural environment, without manipulation of the subjects. Therefore, ‘Green Island in the Sky’ is a very grass roots, authentic and honest registration of nature in all its variety. ‘Green Island in the Sky’ provides a window into all aspects of the local natural environment. The photos are ordered by eco-systems. The first chapter shows how close nature is to residential locations on the mountain. The other chapters show fauna and flora of the open fields, eucalypt forests, rainforests, creeks and ponds and the nocturnal rainforests. Artworks from local artists add a cultural connection to this album, as does the famous poet and once resident Judith Wright, with her beautiful poem ‘Lyrebirds’. A selected number of local businesses related to nature contributed as well to the production of Green Island in the Sky. The entire community participated in this project. All information about buying and ordering at the Buy Now page . My grand daughter Amelie will get hours of pleasure from this book, and is well able to comprehend the prose on her own. Lovely work. 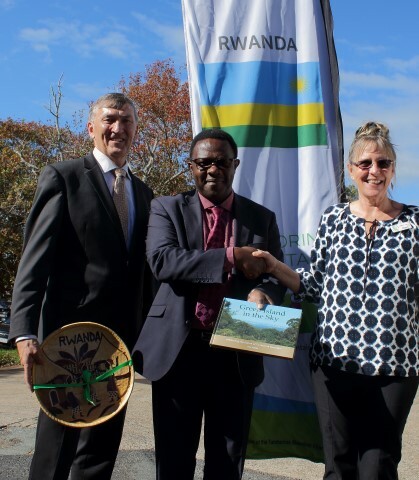 This beautifully presented coffee table edition gives a delightful introduction to our mountain paradise with its plethora of interesting and unique fauna and flora. I don’t just ‘like’ it – I love it! You’ve done a fantastic job with that book! Green Island in the Sky captures a personalised experience of the mountain’s biodiversity. The nocturnal section provides an insight into our wildlife that most people, including myself, will have difficulty experiencing. ‘Green Island in the Sky’ is a unique photo book that allows you to take home your memories of this beautiful part of the Gold Coast hinterland.